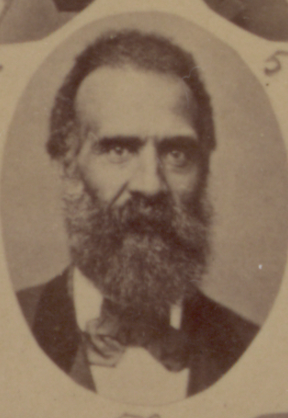 Member of the Committees on Public Education, Federal Relations, Railroads, and Public Works. Referred to as Reverend and led the house in prayer on more than one occasion. 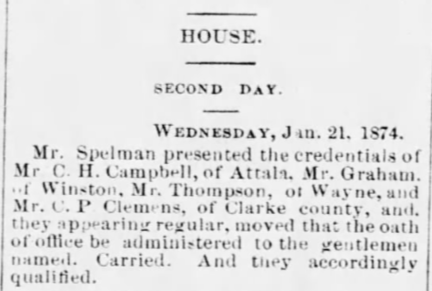 I’ve been unable to locate Clemens on a census in Mississippi. 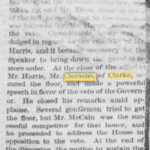 However, there was a Charles P. Clemens who lived in Darke County, Ohio, and served with Company A of the 45th U.S. Colored Infantry. 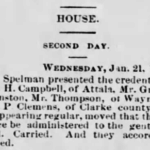 An 1865 newspaper article refers to him as “Rev. C.P. 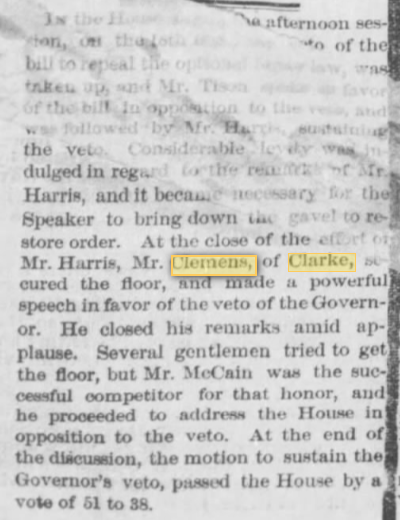 Clemens.” This Clemens, born about 1842, appears on the 1850, 1860, 1870, and 1880 census in Darke County before his death on November 29, 1895. 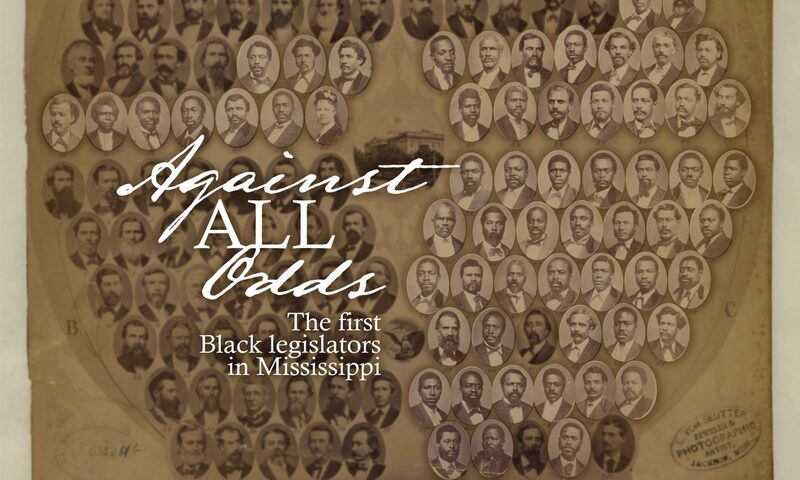 It is possible that he was one of the freeborn northerners who came to help with Reconstruction in Mississippi.